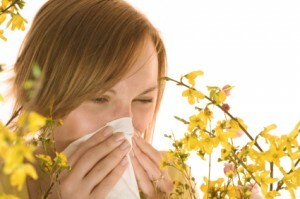 Allergies are dramatically increasing in the general population. 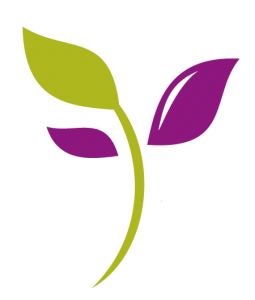 I see many patients who have never had any problems and all of a sudden develop hayfever, rashes, hives, food intolerances and all manner of allergy issues. The prevalence of Eczema and Asthma in children has now risen to 1 in 3 ! What is going on ? The medics are doing lots of research into this area and although there are many theories, there is no definitive answer. As a complimentary practitioner, I have learnt that the root cause of your allergy lies in an imbalance / disturbance in the natural energy flow around your body. This disturbance causes your body to “forget” how to deal with the thing (allergen) that is triggering your allergy and that is why you get allergies suddenly during your life. The body’s “memory” can be lost by stress, illness, diet, emotional problems or a whole manner of other issues. By using Homeopathy and a technique known as Kinesiology (like Acupuncture but without needles), I can assess the root cause of the energy disturbance and help the body to “remember” how to deal with the trigger. The idea is not to treat the surface rash or the itchy eyes, but rather to treat the underlying cause so that your body no longer produces histamine in response to the trigger substance. Treatment is very simple. There is an initial consultation (about 1 hour) where I take a detailed history that examines areas such as diet and stress as well as your physical general symptoms. You may lie on a couch and I will hold your arm and assess its resistance when near grass or cat hair or wheat or whatever substance you are allergic to. I will then give you a natural remedy to take and we schedule a follow-up to see how you get on. You know I had the same thought when I went to see a complimentary practitioner for the first time. I was a sceptic, I admit. However, my first child had terrible Eczema from only 4 weeks old and had bad allergies to Nuts, Wheat, Dairy Products, Gluten and Seafood. As you can imagine this made his diet very challenging indeed. I went everywhere, including Great Ormond Street, and besides very strong steroid creams..there was no help. In desperation, I saw a Homeopath. Within 4 weeks of this first consultation he was drinking milk and eating Pizza for the first time in his life. He is now 8 and enjoys a full and varied diet and there is no hint of eczema on his body..thank God. My own example is also interesting. I developed a very bad case of Allergic Rhinitis – a condition where my nose ran like a tap 24 hours a day and I had puffy red eyes continuously. I was given heavy steroids, saw the top Ear,Nose and Throat specialists, but nothing helped. Around the same time as my son was treated, I also tried these therapies and can happily report that my allergy condition has been resolved. The real point I am making is that conventional medicine for these types of problems is still pretty crude, not very successful and can have bad side-effects. There are natural alternatives, that I purely by chance stumbled across, which have changed my life. I now enjoy seeing others get relief from these debilitating and chronic conditions. There are no side effects, everything is about getting your body to deal with the problem itself – with a little encouragement. So, I think there is not much to loose besides an hour or so of time and I recommend that you give it a go. I look forward to seeing you or just having a chat on the phone.